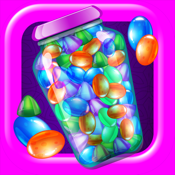 Prism HD is an inspiring exploration of real light shining through glass prisms and splitting into natural rainbows beneath your fingers. 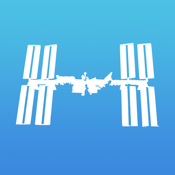 Interact with a variety of beautiful scenes, or create your own. Completely accurate in math and physics, you will be amazed at the feel of life in the light exploding from just a few simple prisms. * Debuted at the Future Canvas 2 iPad art exhibit in San Francisco. 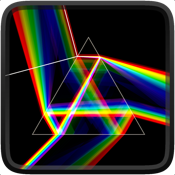 - "Prism HD is an iPad/iPhone App combining optics, accuracy and beauty. of refraction and watching what happens"
* Used as inspiration by professional artists and architects. Prism HD uses sophisticated ultra-fast ray-casting to simulate tens of thousands of individual rays of light as they pass through a variety of colored or clear glass prisms. As you move and rotate the prisms and the light-source, the light reacts instantly to your touch, sending showers of beams across the screen. The beams combine and split in a fantastic array of natural rainbow patterns that you will recognize from the real world around you, but have never been able to interact with freely before. The result is an accurate simulation of the natural world with a surprisingly emotional power. * 13 beautiful pre-set scenes. * Every scene can be easily customized. from iPod Touch to iPad 3, including Retina support and iPhone 5. * Regular prisms: triangles, squares pentagons, etc. * Star-shaped prisms with any number of points. * Perfectly circular prisms, which accurately simulate drops of water. * Each prism's shape and color can be easily changed. * Simple control of optical properties like Index of Refraction and Dispersion. 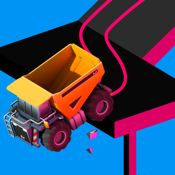 * Written in 100% Objective-C, C++, and OpenGL for maximum performance. ** Accurately shows real-world optics behind atmospheric halos such as Sundogs. Hundreds of thousands of individual rays of light are simulated each second. Light bends as it passes from one medium to another. Blue light 'refracts' more than red light. some of it passes through and some is reflected. the experience is captivating and beautiful.